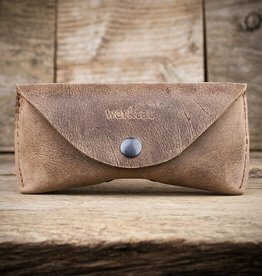 Home / accessoires / glasses cases / glasses cases "Sichtschutz"
Your glasses stored safe - in the eyeglasse case by werktat. 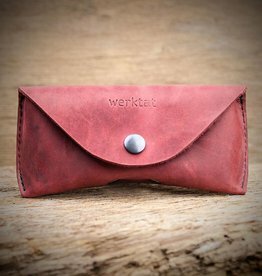 The felt and leather cases protect your glasses from dust and scratches, feel great and will surely become your new favorite piece. A "nose" is riveted on the bottom of the model "Sichtschutz". This fixed tab, shaped like a nose, not only provides a support and the three-dimensional shape, but also serves as a spacer and exerts pressure on the case and not on the glasse when the push button is closed. 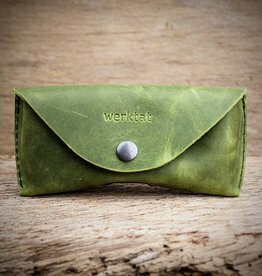 The felt eyeglasses case "Sichtschutz" also protects more expansive models of glasses and sunglasses.